The only way I found to solve this is to re-download all the decks from AnkiWeb. But there is nothing on AnkiDroid to do that kind of reset, even if you install/re-install the app on your phone! 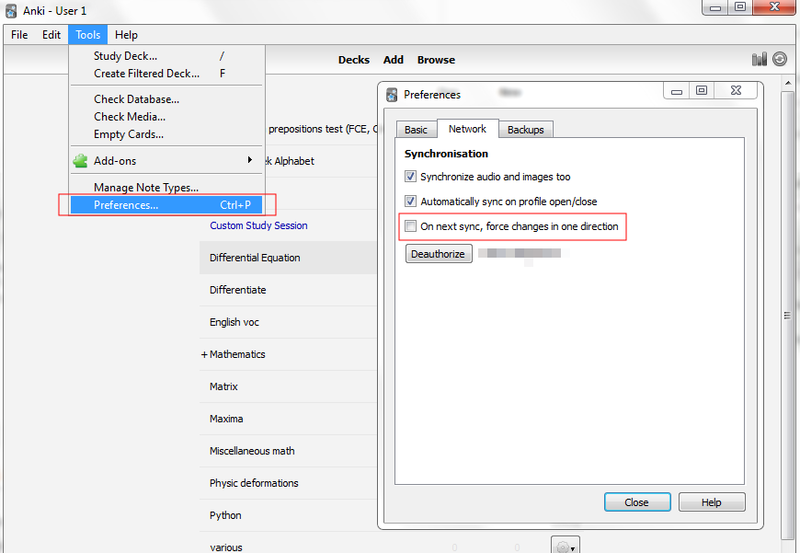 You need to use the Desktop application and go to "Tools -> Preferences" then to the "Network" tab and check "On next sync, force changes in one direction". 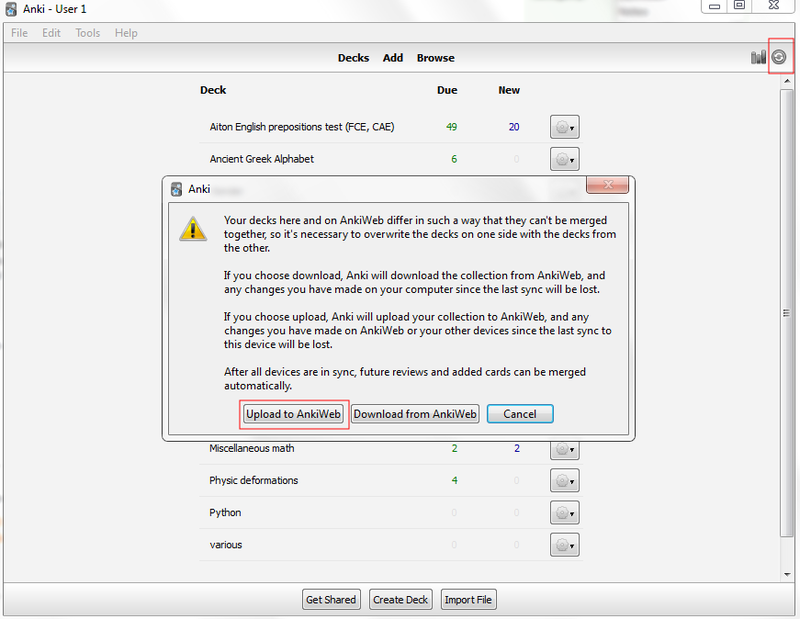 Then hit the sync button and upload the decks to the AnkiWeb server. You can now sync your phone with AnkiDroid and request a server download from AnkiWeb. I had a similar problem, but discovered that I still had ANKI active on my iPad. Once I terminated it there, I could sync on Ankidroid immediately. "What do you mean? Install Synaptic - it's there from the beginning....."